An alternative calibration procedure has been applied using apparatus built in-house, created to optimize thermal conductivity measurements. The new approach compared to those of usual measurement procedures of thermal conductivity by guarded hot plate (GHP) consists of modified design of the apparatus, modified position of the temperature sensors and new conception in the calculation method, applying the temperature at the inlet section of the specimen instead of the temperature difference across the specimen. This alternative technique is suitable for eliminating the effect of thermal contact resistance arising between a rigid specimen and the heated plate, as well as accurate determination of the specimen temperature and of the heat loss at the lateral edge of the specimen. 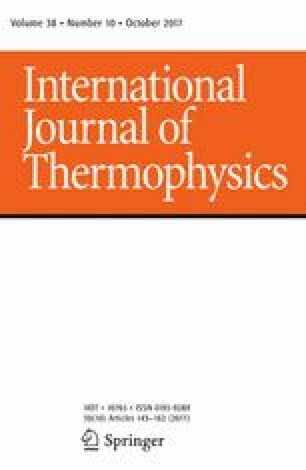 This paper presents an overview of the specific characteristics of the newly developed “high-temperature thermal conductivity measurement apparatus” based on the GHP method, as well as how the major difficulties are handled in the case of this apparatus, as compared to the common GHP method that conforms to current international standards. This work was funded through the European Metrology Research Programme (EMRP) Project SIB 52 “Thermo”—Metrology for Thermal Protection Materials. The EMRP is jointly funded by the EMRP participating countries within EURAMET and the European Union.